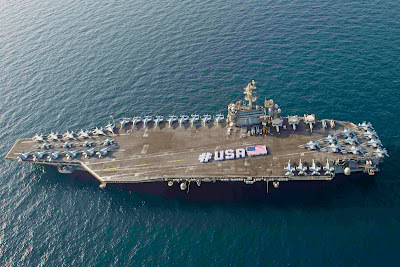 Sailors spell out #USA next to the American flag to mark Independence Day on the flight deck of the aircraft carrier USS Theodore Roosevelt in the Arabian Sea. 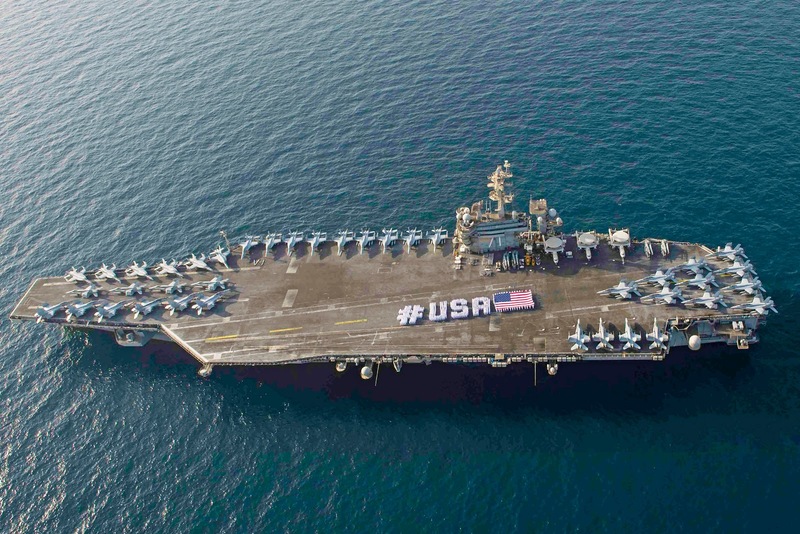 The carrier is deployed to the U.S. 5th Fleet area of operations to support Operation Inherent Resolve and strike operations in Iraq and Syria. The above U.S. Navy photo was taken by Petty Officer 3rd Class Jackie Hart.